-Michigan State administrators in 2014 did not notify federal officials that the university had dual Title IX and campus police investigations of Nassar underway even though federal investigators were on campus that year scrutinizing how MSU dealt with sexual assault allegations. -MSU administrators still have not provided to federal officials all documents related to the Nassar allegations. Despite the federal investigators’ presence, and later a 2015 agreement with the Office of Civil Rights that required notification and documentation of all prior complaints of sexual assault and harassment by January 2016, MSU did not share the reports made against Nassar. In December 2016, three months after Nassar was finally fired by Michigan State following a wave of public assertions about his abuse, an MSU attorney wrote to federal officials and called the missing Nassar documents an “unfortunate oversight.” In March 2017, the school found eight more reports that they say had been “erroneously excluded,” though the ESPN report says it is not clear that those reports necessarily had to do with Nassar. 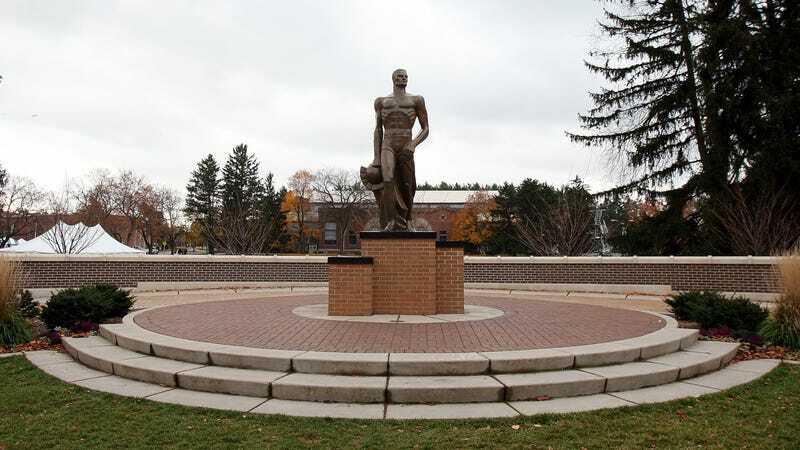 ESPN says that MSU still has not provided the complete paperwork to federal officials, though a school attorney promised an update by Jan. 31. Michigan State tried to end the Department of Education’s monitoring in October 2017, saying that they had been acting in “good faith” and had gone “above and beyond” the standards set in the 2015 agreement. The school’s president, Lou Anna Simon, announced her resignation Wednesday night. Judge Reads Batshit Victim-Blaming Letter From Larry Nassar, Where He Wrote "Hell Hath No Fury Like A Woman Scorned"
Larry Nassar Judge To Survivors: "The Military Has Not Come Up With Fiber As Strong As You"